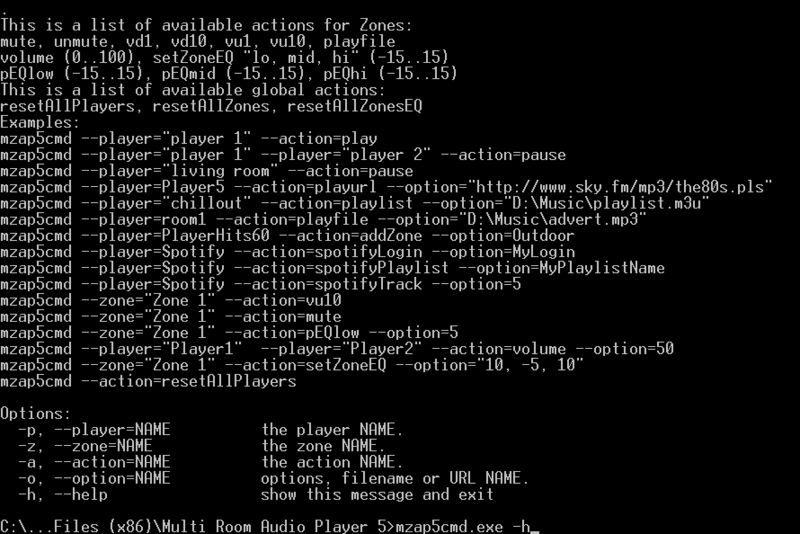 All console parameters have easy to understand names. If you have any questions or suggestions, please leave a comment below. Please run mzap5cmd.exe –h for help. -o, –option=NAME options, filename or URL NAME. 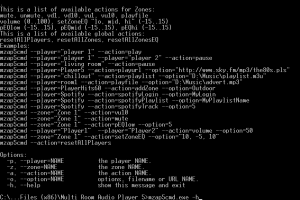 spotifyLogin, spotifyPassword, spotifyKeyPath, spotifyLogon, spotifyPlaylist, spotifyTrack.